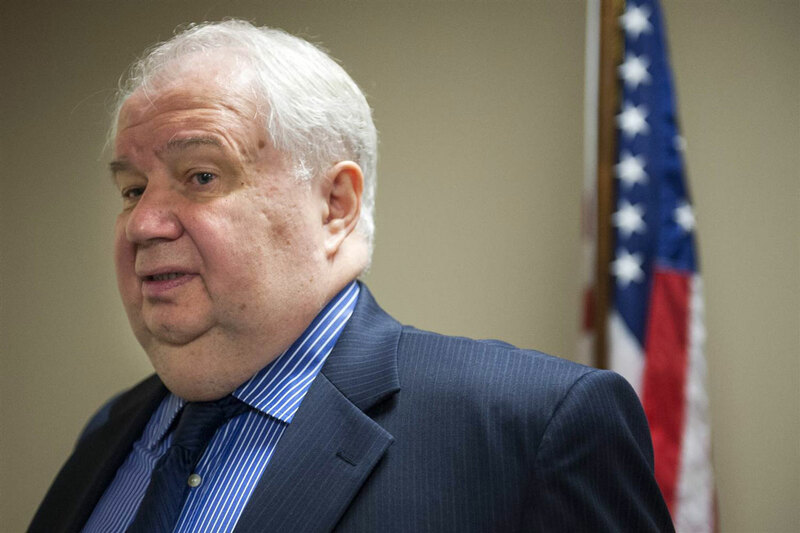 Russia’s ambassador to Washington Sergei Kislyak, a key figure in ongoing U.S. investigations into Moscow’s meddling in the 2016 presidential election, ended his tenure on Saturday. The Russian embassy in Washington said on its Twitter feed that Minister-Counseler and Deputy Chief of Mission Denis V. Gonchar would serve as Charge d’Affaires until Kislyak’s successor arrived. Kislyak, who held the post since 2008, is expected to be replaced by Russian Deputy Foreign Minister Anatoly Antonov. Antonov’s nomination for the post, which has yet to be approved by the Kremlin, comes at a time of intense scrutiny over Moscow-Washington relations following U.S. allegations that Russia meddled in the U.S. election last year. Kislyak’s name has emerged in relation to several of Trump’s associates as a special counsel and congressional panels investigate Russian meddling and possible ties with the Trump campaign. On Friday, the Washington Post reported Kislyak was overheard by U.S. spy agencies telling his bosses he had discussed campaign-related matters, including issues important to Moscow, with Jeff Sessions during the 2016 presidential race. As Attorney General, Sessions recused himself in March from matters connected to an investigation by the FBI following his admission he had talked to the Russian envoy. Sessions has denied discussing campaign issues with Russian officials and has said he only met Kislyak in his role of U.S. senator. Former White House national security adviser Michael Flynn was forced to resign in February after it became known that he had failed to disclose the content of conversations he had with Kislyak and misled the vice president about their meetings. Trump’s senior adviser and son-in-law Jared Kushner also failed to disclose contacts with Russia when seeking his security clearance, the New York Times reported in April. Moscow has denied any interference, and Trump has said his campaign did not collude with Russia. The White House said this week Trump would nominate Jon Huntsman as his new ambassador to Russia. Russia’s Ambassador to Washington Ended his Tenure on Saturday. Sergei Kislyak is a key figure in ongoing the investigations into Moscow’s meddling.